The Summer Twilight Fest features an all-new currency item, Summer Twilight Ticket. These tickets are obtained through Daily Login Bonuses and by completing daily event bounties. These tickets are required for crafting all-new event items, which are detailed below. You’ll also receive Twilight Fireworks and Gold Wyverian Prints. 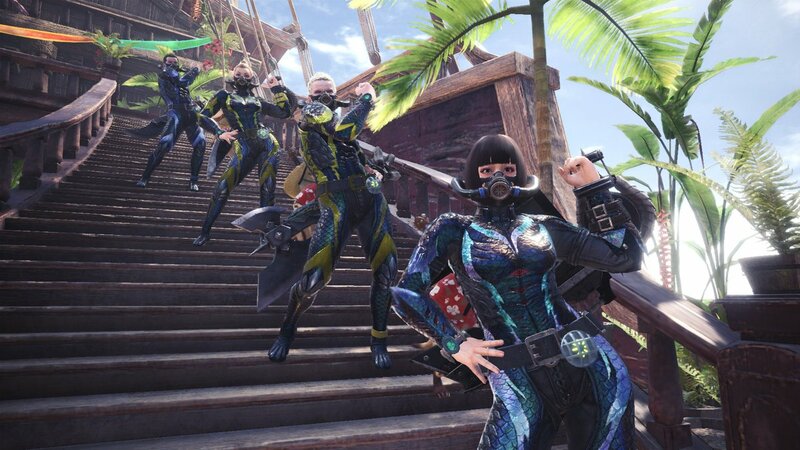 There are two all-new armor sets available in the Summer Twilight Fest, the Diver Armor Set and the Palico Aloha Set. The Diver Armor Set is exactly what it sounds like, offering a goofy diving suit complete with mask. 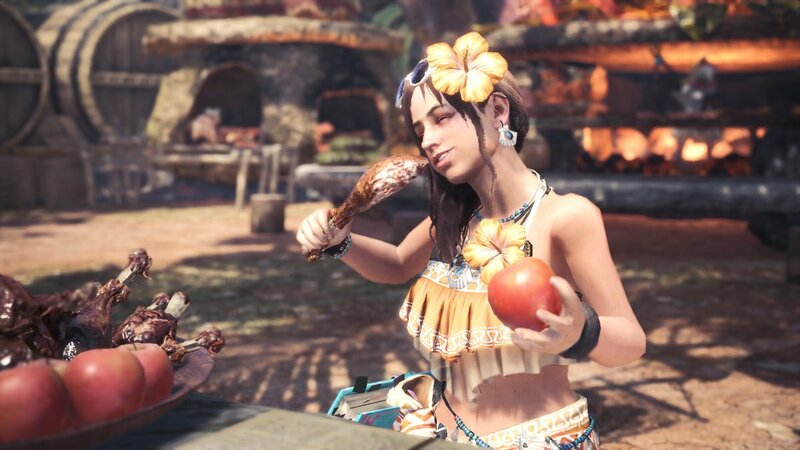 The Palico Aloha Set features a tropical shirt, straw hat and ukulele weapon. 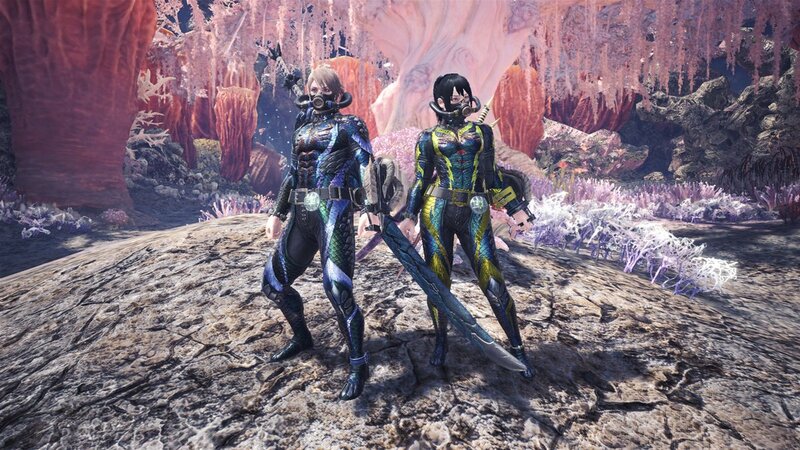 As with many event armor sets, the Diver’s Armor isn’t particularly great armor stats-wise, so it may be worth spending your Summer Twilight Tickets on the Layered version so you can run around in a scuba suit all the time. Why wouldn’t you want to do that? The Butterfly and Queen Beetle Armor Sets also make their return with this event. There are two new weapons added in this event, the Shooting Star Lance and its upgraded version Sapphire Star Lance. To get the First Fleet Tickets required to craft these items, you must complete the event quest Midnight Mayhem. If all you’re interested in is looking cool (and you should be), you can opt to craft Layered versions of the event armor, which are special items that only change the appearance of your equipment while keeping the stats of your equipped items. This quest rewards the Azure Star Shard required to craft the USJ Blazing Azure Stars! Armor Set, previously obtainable only by receiving a code at Universal Studios Japan. 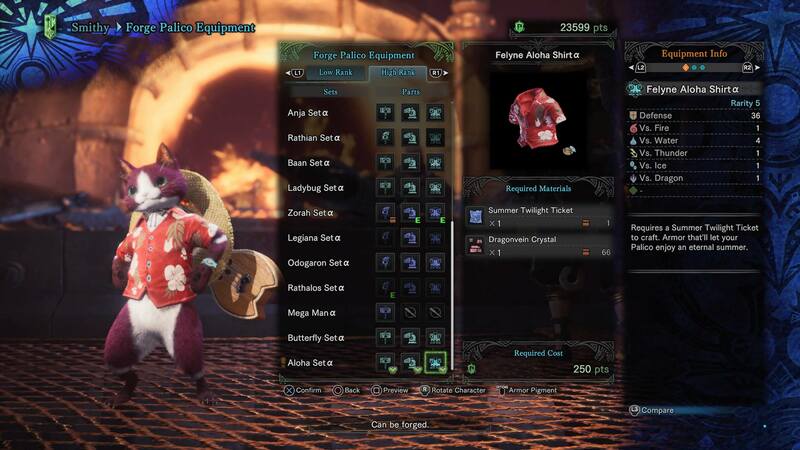 This set includes the Azure Star “Dragon Dance” (Long Sword), and Azure Starlord Armor Set, including Azure Starlord Crown α, Azure Starlord Armor α, Azure Starlord Gauntlets α, Azure Starlord Tassets α, and Azure Starlord Guards α. You can also craft the Azure Star Palico Armor Set, including Felyne Azure Star Baton, Felyne Azure Star Crown and Felyne Azure Star Armor. You’ll need a total of 6 Azure Star Shards. This quest rewards the First Fleet Ticket required to craft the Shooting Star Lance (and its upgrade, Sapphire Star Lance). You’ll need 1 ticket to craft the weapon, then another 2 to upgrade it. Vespoid Infestation! (2★) - HR 4 or higher: Slay 30 Vespoid. This quest rewards the Summer Insect Field Guide required to craft the Queen Beetle α & β and Butterfly α & β Armor Sets. There's no doubt at all that summer is in the air! Visit the Gathering Hub and see the beautiful folks of the Celestial Pursuit, along with the Handler and your Poogie, wearing their summertime finest for the duration of the event. A new Summer Twilight Seasonal Platter has been added, which provides a great food buff without requiring ingredients. Additionally, merchants will offer deep discounts on items, so it’s a great time to stock up on materials, ammo, and other necessary items. Additionally, a brand new gesture has been added as paid DLC, granting you the ability to “dance the summer night away with your friends.” Because that's what summer is all about. In case you’ve missed previous event quests, the following quests have returned to the game for the duration of Summer Twilight Fest. We’ve separated this list to spotlight those quests with unique event-specific rewards, in case you just want to obtain event items you’ve missed. 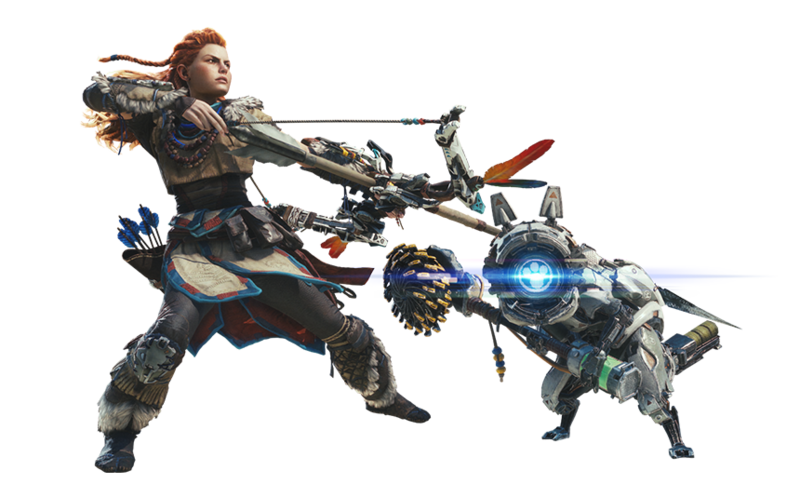 This quest rewards the Watcher Lens used to craft the Horizon: Zero Dawn crossover event’s Feline Watcher Grinder, Feline Watcher Head, and Feline Watcher Body. You’ll need a total of 3 Watcher Lens. This quest rewards the Nora Brave Trophy used to craft the Horizon: Zero Dawn crossover event’s Aloy Armor Set, including Aloy’s Head α, Aloy’s Body α, Aloy’s Arms α, Aloy’s Torso α and Aloy’s Leggins α. You’ll need a total of 9 Nora Brave Trophies. This quest rewards the Mega Man Ticket required to craft the Mega Man crossover event’s Mega Buster α, and Palico Rocketman α Armor. You’ll need a total of 6 Mega Man Tickets. This quest rewards the SFV Ticket required to craft the Street Fighter V crossover event’s Ryu Armor Set, including Ryu’s Head, Ryu’s Karate Gi, Ryu’s Arms, Ryu’s Torso, and Ryu’s Legs. You’ll need a total of 7 SFV Tickets. These challenge quests reward the SFV Ticket II required to craft the Street Fighter V crossover event’s Sakura α Armor Set, including Sakura’s Head α, Sakura’s Work Uniform α, Sakura’s Arms α, Sakura’s Skirt α, and Sakura’s Legs α. You’ll need a total of 4 SFV Ticket II. These challenge quests reward the SFV Ticket III required to craft the Street Fighter V crossover event’s Ryu α Armor Set, including Ryu’s Head α, Ryu’s Karate Gi α, Ryu’s Arms α, Ryu’s Torso α, and Ryu’s Legs α. You’ll need a total of 4 SFV Ticket II. This quest rewards the Red Orb required to craft the Devil May Cry crossover event’s Dante α Armor Set, including Dante’s Hair α, Dante’s Coat α, Dante’s Gloves α, Dante’s Belt α, and Dante’s Leather Boots α. You’ll need a total of 7 Red Orbs. This quest rewards the Wiggler Ticket required to craft the Wiggler Head α. You’ll need a total of 3 Wiggler Tickets. This quest rewards the Kulu-Ya-Ku Ticket required to craft the Kulu-Ya-Ku Head α. You’ll need a total of 3 Kulu-Ya-Ku Tickets. This quest rewards the Master Craftsman’s Blueprint required to craft Wyvern Ingnition “Steel” (Great Sword). You’ll need 5 Master Craftsman’s Blueprints in total. You’ll need a total of 5 Master Craftsman’s Blueprints. This quest rewards the Black Bandage required to craft the Sealed Eyepatch α. You’ll need a total of 2 Black Bandages. This quest rewards the Black Crystal Ticket required to craft the Shadow Shades α and Shadow Shades Layered Armor. You’ll need a total of 3 Black Crystal Tickets to craft the Shadow Shades α and 2 Black Crystal Tickets to craft the Shadow Shades Layered Armor. 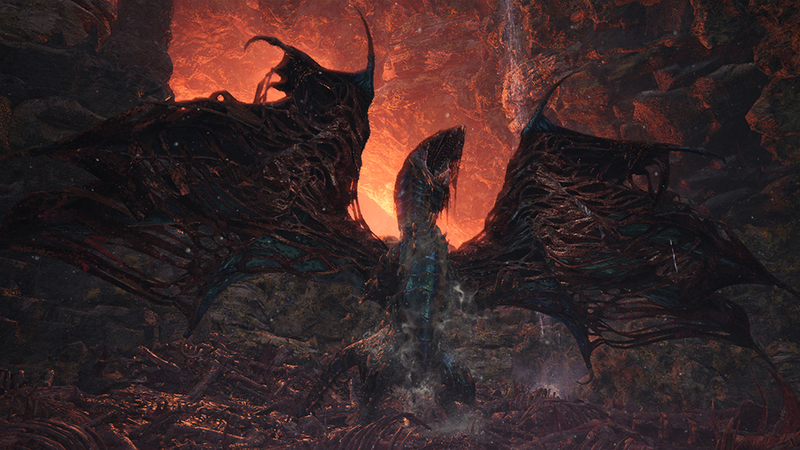 This event also marks the return of the challenging Tempered monsters. Successfully hunting these monsters will reward double HR points. Relish the Moment (9★) - Requires HR 50 or higher: Hunt Tempered Deviljho. This quest rewards the Kirin Ticket used to craft γ Kirin Armor Set and Blossom Layered Armor. You’ll need a total of 5 Kirin Tickets for the γ Kirin Armor Set and 2 Kirin Tickets for the Blossom Layered Armor. This quest rewards the Vaal Hazak Ticket used to craft γ Vaal Hazak Armor and Death Stench Layered Armor. You’ll need a total of 5 Vaal Hazak Tickets for the γ Vaal Hazak Armor and 2 Vaal Hazak Tickets for the Death Stench Layered Armor. The Elder Dragon Kulve Taroth has also made his return, offering a unique, 16-player siege quest experience. The Summer Twilight Fest also reintroduces some quests which feature increased droprate of useful items. If you’re in need of Armor Spheres or Commendations to upgrade some gear, now’s a great time to farm! This event quest features a high Armor Sphere drop rate. This event quest features high Armor Sphere+ and Advanced Armor Sphere drop rates. This event quest features a high Decorations drop rate. This event quest awards a Commendation. This event quest awards a High Commendation. This event quest awards Canteen Vouchers.